Whether you’ve been sidelined by persistent pain or are simply seeking to enjoy better overall health, we can help. Dr. Jarod Doster and Dr. Tanya Doster invite you to discover the many benefits of gentle and effective chiropractic care. We believe everyone should have access to the numerous benefits chiropractic care provides. We accept insurance and offer convenient payment plans and we are proud to offer same-day appointments, on-site digital X-rays, convenient hours & FREE consultations. Get started today by calling (828) 236-2200 or book an appointment online now! Call us at (828) 236-2200 or book an appointment online now! We know you’re busy, so we offer same-day appointments & on-site digital X-rays. Our friendly, no-pressure environment is the ideal place to get the effective chiropractic care you need so you can get back to your day. Call us at (828) 236-2200 to schedule your FREE CONSULTATION now! 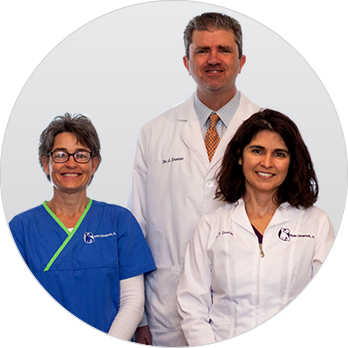 Book your FREE CONSULTATION today by calling us at (828) 236-2200 or scheduling an appointment online! *IF YOU DECIDE TO PURCHASE ADDITIONAL TREATMENT, YOU HAVE THE LEGAL RIGHT TO CHANGE YOUR MIND WITHIN THREE DAYS AND RECEIVE A REFUND.